Nissan made the superior vehicle that it is today and our Nissan Service Center wants to ensure it remains that way for however long you own your Nissan car or truck! That’s why Nissan South in Morrow offers expert Nissan service and repair, so you have access to the latest specialized technology and precise analysis from Nissan trained technicians who undergo regular, frequent training so they’re always up-to-date on every component of your vehicle. 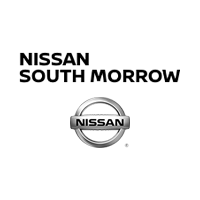 By bringing your Nissan vehicle to Nissan South in Morrow, near Atlanta, GA for all your service and repair needs, from regularly scheduled appointments to major repairs, you can count on a continued driving experience unlike any other – for every single mile of your lease or ownership. Nissan owners appreciate working with our professional service staff in our friendly, fast and reliable full service garage for all their maintenance and repair needs. We offer easy and convenient Online Scheduling and Call-in Scheduling for you to bring your car in on your terms. Our service staff will also assist you with any Nissan Recalls on your car quickly.